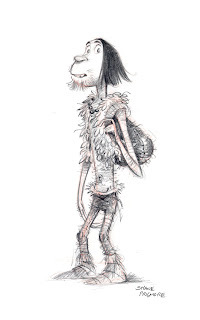 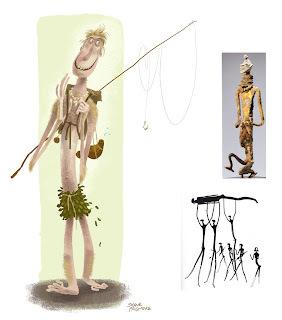 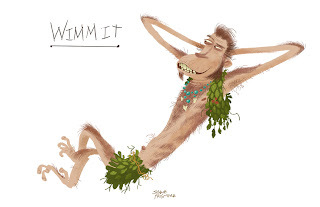 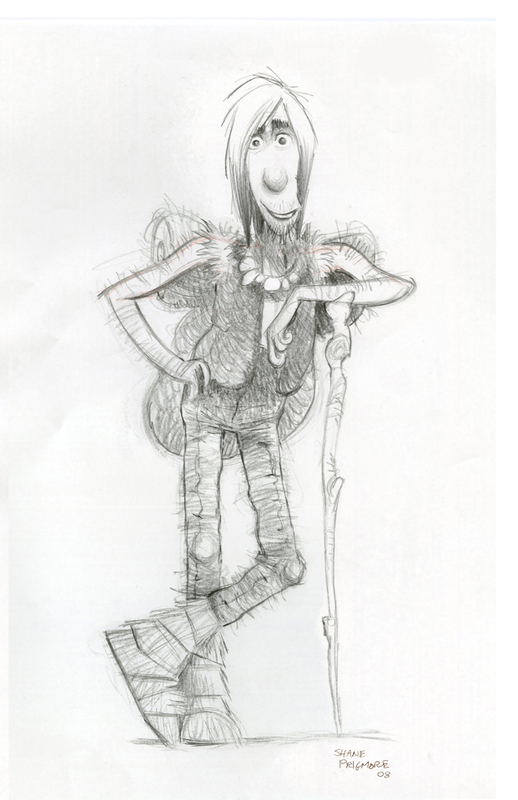 In the Croods, “Guy” was not always “Guy”, his original name was Wimmit. 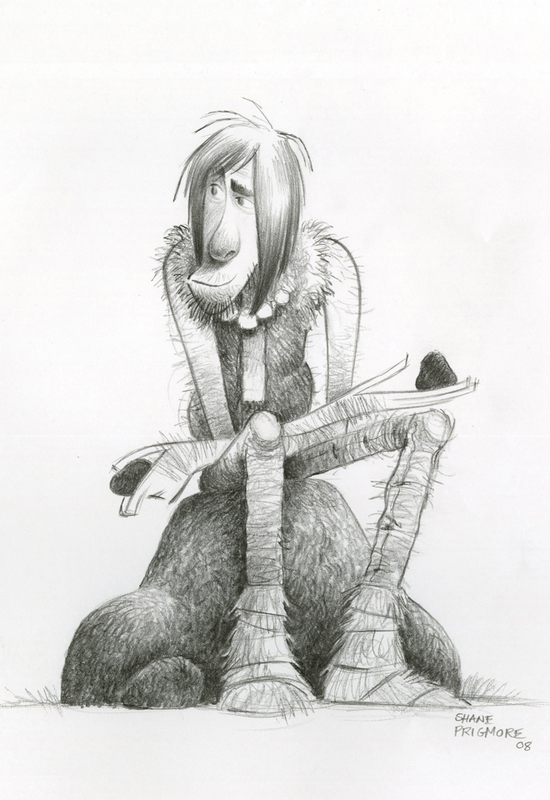 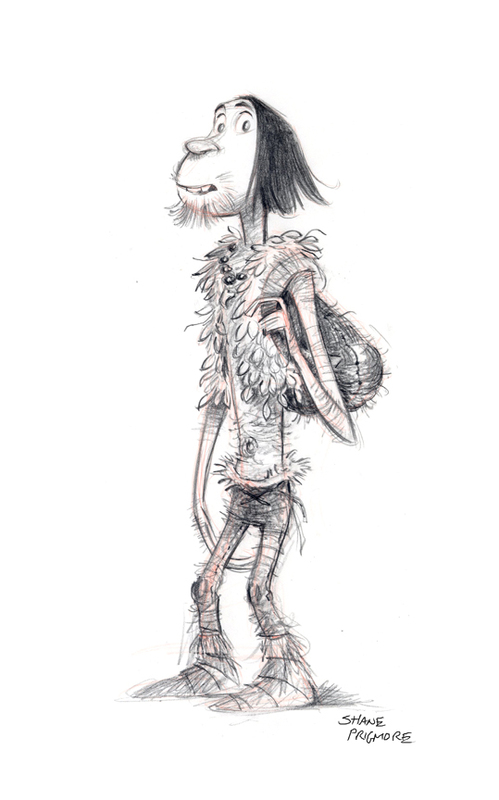 And he was not always a human, but was originally conceived as an awkward, yet more advanced intermediate species.Chris and kirk wanted him to have a Dobie Gillis, hippy, beatnik vibe as well. 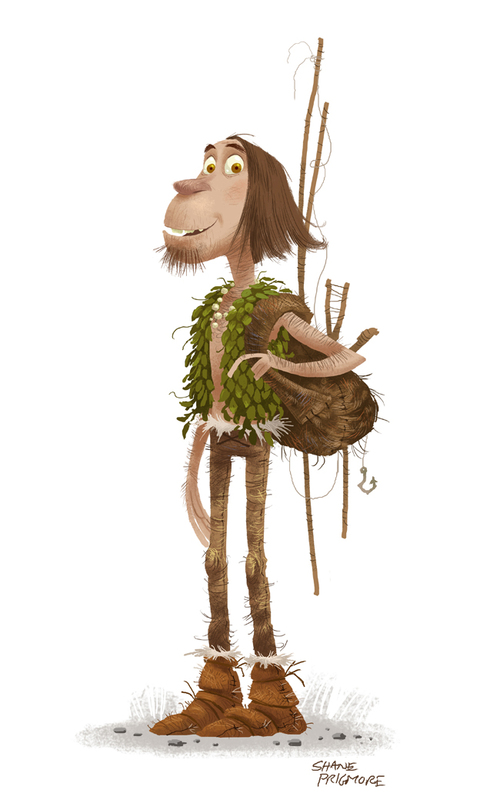 I got the ball rolling on this guy, and would end up taking him quite a ways through production. 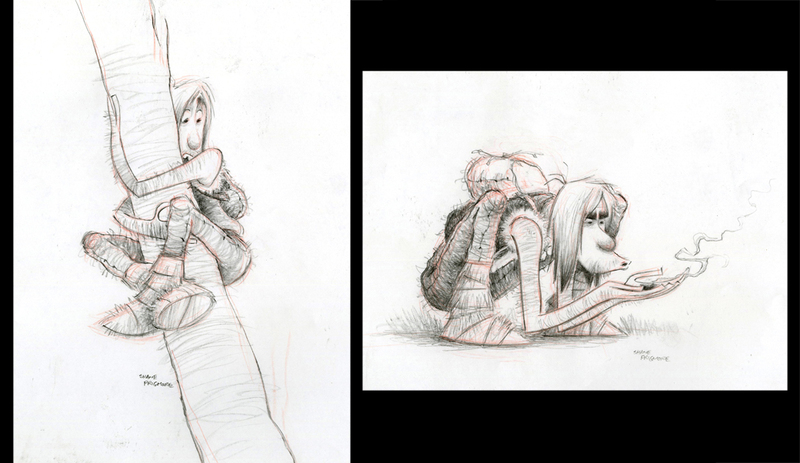 Later on Carter Goodrich joined the team, and we started working back and forth like mad. 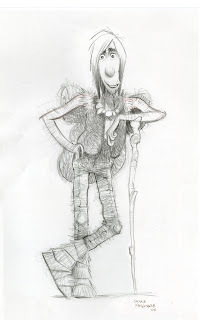 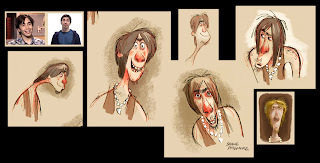 You will see me imitating his technique in several images as we worked to hone the overall look for the Croods. The pencil drawings you'll see at the end of the post were, at one point, the final Guy. But the studio decided they wanted a more conventional, human Guy for the final film. 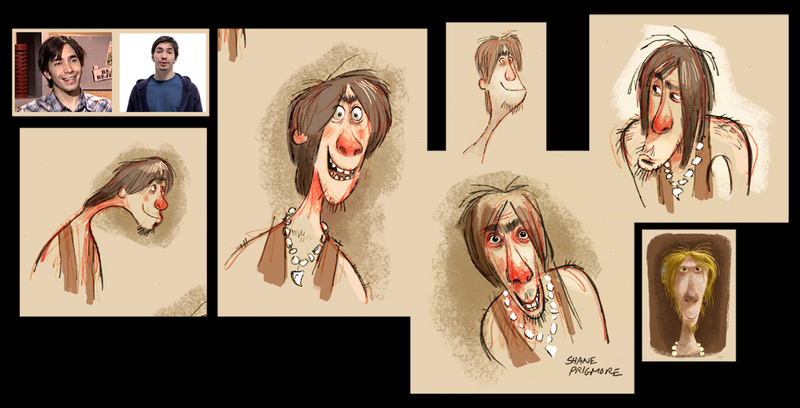 Below is just a small sample of my design and development work on who would eventually become “Guy”. 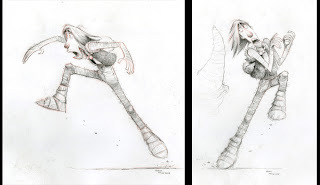 (note some of the reference and inspiration included on some pages. There were many different influences along the way). Also, the very informative Croods Blog just posted an interview I did for them. Check it out.